The 10 Best Spas in Washington State! Escape the commotion and hubbub of everyday life and enter a world of relaxation. Washington State offers a rustic appeal of the Northwest, which takes you to your perfect peace. Unwind near lush forests or the beautiful Pacific. Relax and let us show you 10 amazing spas only found in beautiful Washington State. Relax, rejuvenate and refresh at beautiful Willows Lodge in Woodinville. Try any number of select treatments ranging from exclusive Carita facials, to a whole line of massage treatments. Travelers from across the globe rave about Willows Lodge and the unique spa experience they offer. Celebrate an anniversary or come just to treat you and your significant other here at Suncadia Resort in Cle Elum. Take advantage of the local forest hiking trails before sinking into any one of their amazing spa treatments. Relax under the evergreens as you are swept into bliss by a full body treatment targeted to rejuvenate and revitalize the senses. Located next to Snoqualmie Falls, Salish Lodge and Spa is a transcendent experience all in itself. Drink in the beautiful views as you get to indulge in the luscious experience of house harvested honey treatments. The spirit of the Northwest lives here at Salish Lodge and Spa. The Waterleaf Spa at Skamania Lodge is beautifully situated on the Columbia River. Pamper yourself with a Waterleaf massage or a Columbia River rock massage. Spa goers have nothing but the best to say about the Waterleaf Spa. Just a stones’ throw away from Portland. With amazing views of beautiful east sound, Rosario Resort & Spa in Eastsound has some of the states finest spa amenities available. Treat yourself to any one of the number of fine bodily treatments and relaxation pleasures. Walk through the beautiful mansion after an invigorating body scrub. Rosario Resort & Spa is a definite must for any weary traveler. Rejuvenate the body and soothe the soul here at Sun Mountain Lodge located in Winthrop. Offering a variety of options for spa goers, tailor your day with any combination of relaxing treatments. 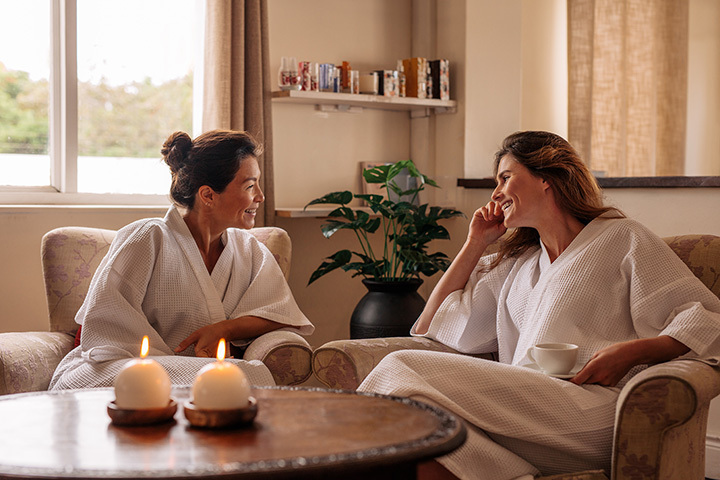 Restore your natural balance through these high-quality skin and body care treatments at Sun Mountain Lodge. Explore the gorge and enjoy all the spa benefits of Carson Hot Springs Golf & Spa Resort in Carson. Enjoy a Yon-ka Facial or any one of their specialized spa treatments as you experience the beautiful Columbia River Gorge. Steep yourself in the scents of the Northwest’s pines and evergreens as you become immersed in true rest and relaxation at the Alderbrook Resort & Spa in Union. Resort goers praise the amazing massages and spa experience. Make Alderbrook Resort & Spa your next visit. For a truly pampering and relaxing experience, look no further than Tranquility Day Spa in East Wenatchee. This day spa specializes in top quality spa packages for the weak and weary. Come treat yourself with any one of their sensational offerings. For a truly remarkable spa experience at an affordable price, look no further than Hand and Stone Massage and Facial Spa in Puyallup. With facials, hot stone massages and full body massages offered in an intimate setting, Hand and Stone is a local favorite!